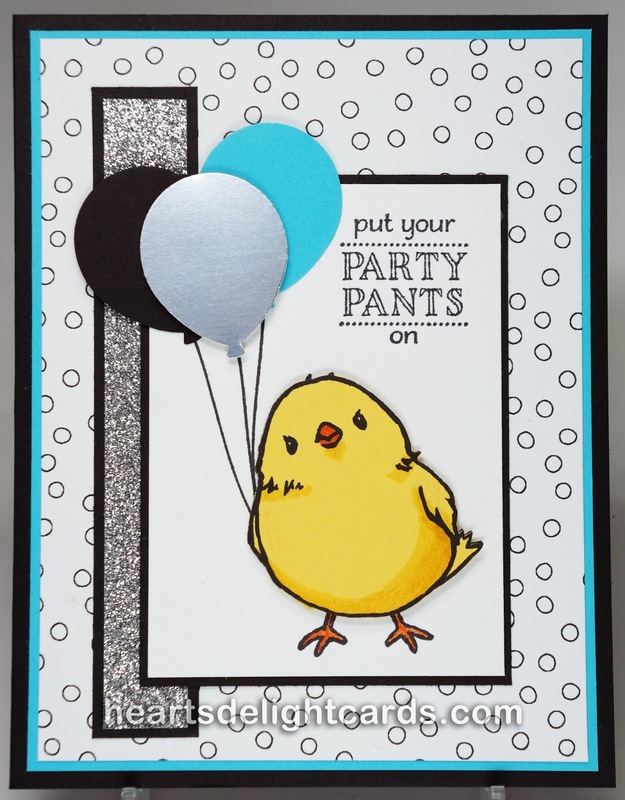 Heart's Delight Cards: Sale-A-Brating, Freak Style! 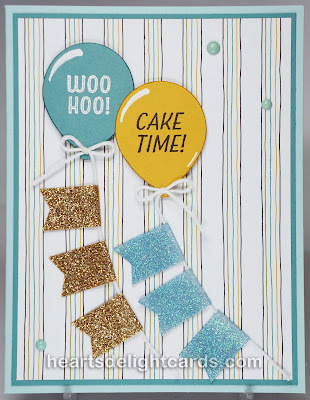 Love the cards, especially the little touch of glitter tape on them. Really cute. You've been busy! I like all the cards, but the last one is my favorite! It's clean and simple perfection! Thanks for the tip on the glitter tape - I will definitely be color coordinating mine! Mixing and matching the stamp sets really show how versatile Stampin' Up! products really are! Well done! I love what you've done with the glitter tape! I'm intrigued by your watercolor background using the block and will have to try that soon. Love all the bright colors you used on your cards Cindy! Everyone of these cards is gorgeous, I'm not even going to list all the things I love about each one BUT let me say this - those banners coming down from the balloons - love them! 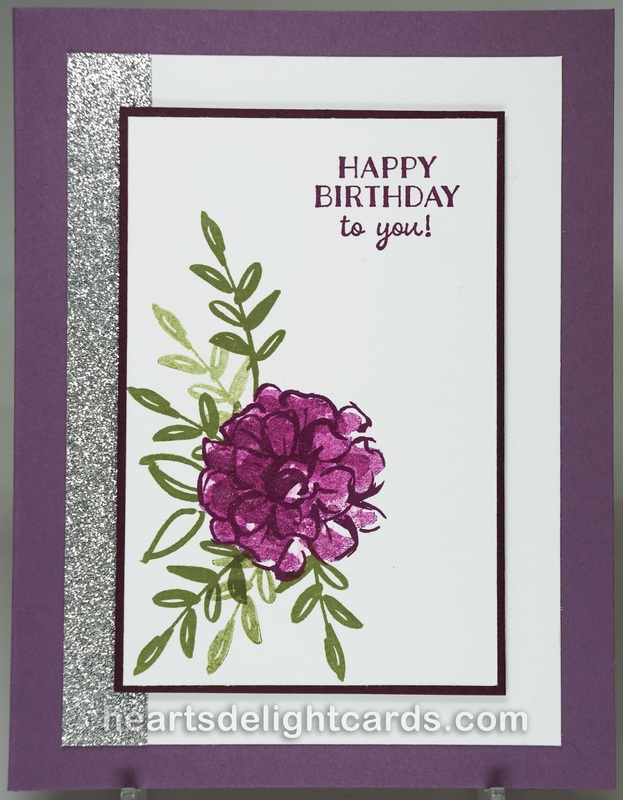 Beautiful cards, Cindy! I love the extra detail of the reflection on the balloon, and that chick is just too cute! Beautiful watercoloring with Flowering Fields. 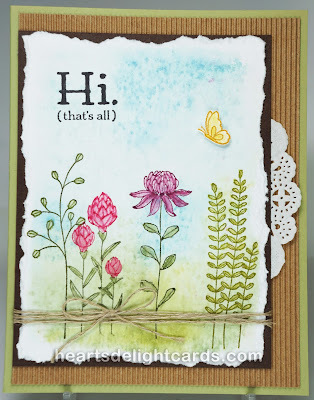 Love the Flowering Fields card. So pretty! My second fave is the What I love card. The sentiments from the new set are so fun!